Today’s post is a very simple tip based on a question I received from one of my colleagues. They had dates stored in their database and wanted to extract day of the week and day of the year information from the date column. Now, this would have been a very easy task for the team had this requirement been related to displaying the day of the week and day of the year information on the UI. But, in this particular case, they had to dump it out to a text file (using SQL Server BCP) for exchanging with a legacy reader-board feeding system (If you are unfamiliar with the term, the display boards on railway stations and airports that inform travellers about the schedule and other stages of the boarding process and the associated data stores are reader-board systems). When they approached me, they told me it was a big problem and were wondering if I could spend a day with them to help them figure things out. When I said it won’t even take more than 10 minutes, they were awestruck! 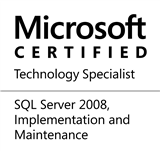 Most of us have worked with T-SQL date manipulation functions in Microsoft SQL Server, with the most common use being extracting parts like date, month and year from the date or a date/time value. However, there are many more options, which are what I shared with the team. All the team had to do was to incorporate the DATEPART function call in their T-SQL queries. There – did it take more than 10 minutes? This entry was posted in #SQLServer, Blog, Imported from BeyondRelational and tagged #SQLServer on August 27, 2012 by nakulvachhrajani. @Datta: You are absolutely correct – the DATEPART() is dependent on @@DATEFIRST for Week-related expressions. Thank-you for your feedback! The is the only place SQL has fields in SQL; I wish noobs would quit confusing fields and columns. The function can take a first argument of DATE, YEAR, MONTH, DAY, TIME, HOUR, MINUTE, SECOND. The DATE and TIME are built from the obvious fields. T-SQL does not have teh INTERVAL temporal types yet. A useful idiom is a report period calendar. It gives a name to a range of dates. These report periods can overlap; a fiscal quarter will be contained in the range of its fiscal year. There can be gaps between them; we have to wait a year between each “Annual Going out Of Business Sale!” and there might be long stretches of time without any special sales. But we want to know their ranges so that the table is fairly constant once it is created. I like the MySQL convention of using double zeroes for months and years, That is 'yyyy-mm-00' for a month within a year and 'yyyy-00-00' for the whole year. The advantage is that it will sort with the ISO-8601 data format required by Standard SQL. Since SQL is a database language, we prefer to do look ups and not calculations. I would build a calendar table with a ISO-8601 week-within-year format column in addition to the usual Common Era date. This format is 'yyyyWww-d' where yyyy is the year, W is as separator token, ww is (01-53) week number and d is (1-7) day of the week. Here is the basic query for rounding down to a time slot. Good to see you again Joe. As a non-noob (you and I crossed paths on the CompuServ MSACCESS forum more than 10 years ago), could you clarify the difference between a field and a column? A table is made up of columns. A column belongs to a table. A field is a columns’ value within a specific row. A field and a tuple are interchangable. @jcelko, @Marc Jellinek: Thank-you for taking the time out and sharing your feedback on my posts! They are very informative, and I always learn something new! In 25 words or less it is “Logical versus Physical”, but it goes beyond that. If you do not have a good conceptual model, you hit a ceiling and cannot get past a certain level of competency. Rows are not records; fields are not columns; tables are not files; there is no sequential access or ordering in an RDBMS, so “first”, “next” and “last” are totally meaningless. A file is made up of records, records are made up of fields. Files are independent of each other, while tables in a database are interrelated. You open an entire database, not tables; you open individual files. The original idea of a database was to collect data in a way that avoided redundant data in too many files and not have it dependent on a particular programmng language. A file is usually associated with a particular language — ever try to read a Fortran file with a Cobol program? A database is language independent; the internal SQL data types are converted into host language data types. A field exists only because of the program reading it; a column exists because it is in a table in a database. Columns have DEFAULT, COMPUTE, REFERENCES CHECK(), NOT NULL, etc to ensure data integrity; fields are passive. A field is fixed or variable length, can repeated with an OCCURS in Cobol, etc. It does not have to be a scalar value like a column. A field can change data types (union in ‘C’, VARIANT in Pascal, REDEFINES in Cobol); a column cannot.You have no idea whatsoever how0 a column is represented internally; you never see it. SQL is more abstract than a file system; you think of a number as a NUMBER, and not as NUMERAL. I wish that more programmers had worked with a magnetic tape system. It is based on physical contigous storage for everything. This is where the idea of a primary key came from. Everything in a tape system depends the files being sorted on the same key, so you can merge data. It was awhile before Dr. Codd changed his mind and said that all keys are keys, and we don’t need a special one in a relational database, like you did in a tape system. Codd defined a row as a representation of a fact. A record is usually a combination of a lot of facts. That is, we don’t normalize a file; you stuff data into it and hope that you have everything you need for an application. The other “un-learning” that I see when I teach an SQL class is with people who learned spreadsheets. They think that tables are made of rows and columns; no, tables are made of rows and rows are made of columns. Columns hold values, not values or formulas.